You probably know by now that a few days ago I announced the launch of The Alive with Clive YES to 10X Club to give a boost to The Alive with Clive Quests for a Billion. To read the Blog post in which I announced the launch of The Alive with Clive YES to 10X Club, click here. To read the Blog post in which I announced the launch of The Alive with Clive Quests for a Billion, click here. 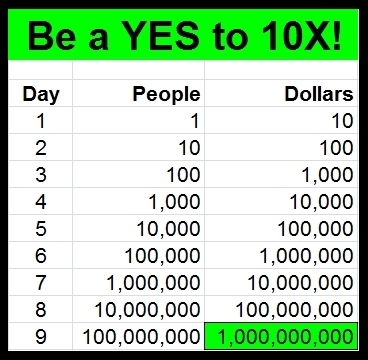 In the Blog post about the YES to 10X Club, I mentioned that the first 20 people to donate $10 or more to one or more of the charities listed on the Web page for the Quests for a Billion, and cause at least ten others to do so too, will become the Ambassadors of The Alive with Clive YES to 10X Club. Now, I’ll be the first to acknowledge that, since you are bombarded with so many competing demands on your time, attention and interest, I appreciate that it does require something extraordinary and exceptional to capture your attention and hold your interest for more than a few nanoseconds. To invoke a desire to take action, therefore, I’ve created a very special incentive for the person who is first to fulfill the requirements to become The FIRST Ambassador of The Alive with Clive YES to 10X Club. In all likelihood, once you see what this incentive is, you’ll want postpone whatever else you are doing and get into action to see if you can win the prize. So determined am I to have these Quests gather momentum that I have published a Press Release specifically to announce the incentive, and you can see this Press Release when you click here. I encourage you to do whatever is necessary for you to acquire the honor and prestige of becoming The FIRST Ambassador of The Alive with Clive YES to 10X Club, since I’m certain you’ll be glad if you are! So, click here to see the Press Release in which I’ve announced the incentive, and then click here to take the first step to becoming The FIRST Ambassador of The Alive with Clive YES to 10X Club. 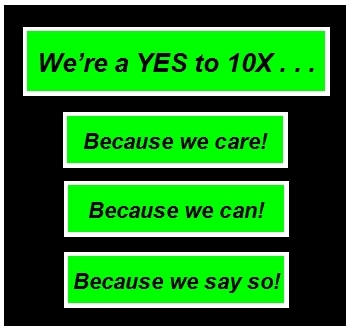 Thank you in advance for being a YES to 10X! I look forward to seeing you in the Club! http://alivewithclive.tv/blog – It’s not just a TV Show. It’s a Global Community! This entry was posted in Alive with Clive Quests for a Billion and tagged action, Alive with Clive Quests for a Billion, Alive with Clive TV Channel on YouTube, Alive with Clive YES to 10X Club, Ambassadors, Ambassadors of YES to 10 X Club, attention, competing demands, desire, extraordinary incentive, first 20 people, honor, incentive in Press Release, interest, Press Release, prestige, Quests, Quests for a Billion, time, YES to 10X, YES to 10X Club. Bookmark the permalink.